The official hotel of the State Hermitage Museum has become the winner of the prestigious World Luxury Hotel Awards in the main nomination (Luxury Hotel). The World Luxury Hotel Awards is dedicated to the evaluation of luxury hotels that meet the most stringent requirements of modern hotel business. In 2018, it was presented for the twelfth time. The award ceremony took place on November 10 in Indonesia, on the island of Bali. 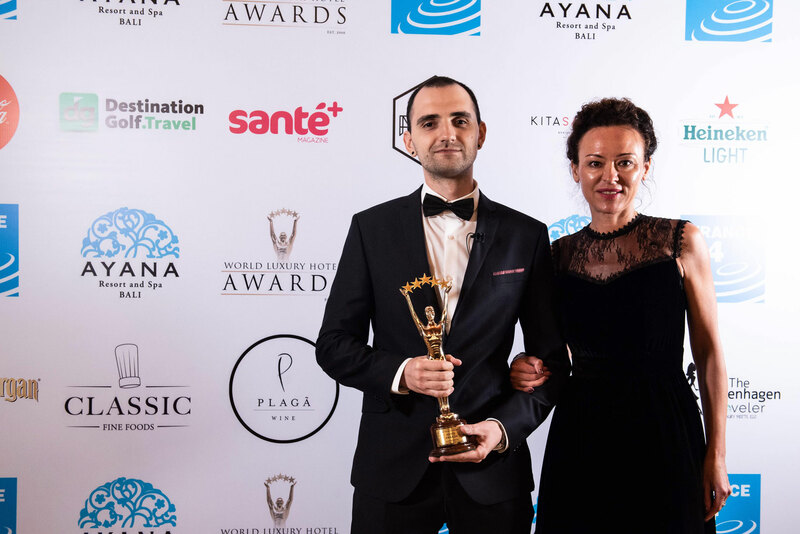 The international jury praised the art of hospitality of the only hotel in the world operating under the museum’s brand. The representatives of the Official Hotel of the State Hermitage were presented with a golden statuette - a human figure, which proudly holds five stars in the arms raised above its head. Earlier, the Official Hotel of the State Hermitage Museum has already been awarded this prize several times, which is called the Oscar of the hotel business. In 2015, the hotel won in two categories at once - the Luxury Design Hotel and the Luxury New Hotel, and in 2016 it became the winner in the Luxury City Hotel nomination. The official Hotel of the State Hermitage Museum in St. Petersburg is a unique project uniting the spheres of culture and business. The hotel develops the cultural traditions of the Northern capital, the main custodian of which is the State Hermitage Museum. And at the same time it offers the highest level of service, being a recognized leader in the global hospitality industry.